The Tessera series offers exciting design possibilities with bold shaped tile patterns, and varied textural glazes in a wide palette of available colors. The possibilities are huge for this line, with traditional and contemporary patterns that can be used in many combinations. 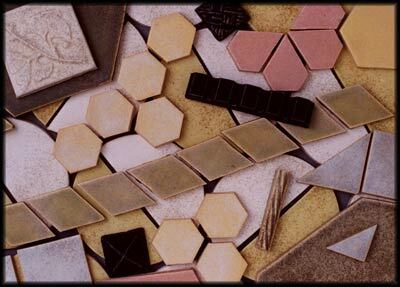 The Tessera glazes can be used on our regular bisque, handmolded bisque, della Robbia and Embossed trims and decos, and on our extruded trims. Tile should be sealed prior to grouting.